A close relative of cabbage and Brussels sprouts, kale was first cultivated in the 1700s and gained popularity in the United States in the late 19th century. Its tough leaves stand up well to cooking and also yield flavorful and nutrient-packed juice. Juicing kale yields a beverage packed with nutritional value, and even a small serving -- a quarter cup -- offers all the mineral and vitamin content found in a much larger serving of whole kale. Although intact kale also has a place in your diet, juicing kale allows you to add lots of nutritional value to smoothies and juice blends, and drinking kale juice benefits your health. Fresh kale juice comes packed with nutrients your body needs to produce energy. The many B-complex vitamins found in the juice work in combination to help you derive energy from nutrients. Iron and copper abundant in kale juice activate enzymes your cells use to generate fuel, and iron also helps deliver the oxygen your cells need to maintain cell metabolism. A quarter-cup portion of kale juice provides 1 milligram of iron -- 6 and 13 percent of the recommended daily iron intakes for men and women, respectively -- along with 1,055 micrograms of copper, or your entire recommended daily intake. Juicing kale also yields a beverage rich in vitamin C and calcium, two nutrients essential for bone health. Your body needs a constant supply of calcium from your diet to maintain bone density, and a low calcium intake increases bone loss as you age. Vitamin C strengthens your bones by supporting collagen production -- a process needed to keep your bones resistant to damage -- and helps you avoid the joint pain linked to vitamin C deficiency. A quarter-cup serving of kale juice boosts your vitamin C intake by 84.5 milligrams -- more than 100 percent of the recommended daily intake for women and 94 percent for men -- and also contains 106 milligrams of calcium, which contributes 11 percent toward the recommended daily intake. Incorporate kale juice into your diet to keep your eyesight sharp. The vitamin A in kale helps you see at night, and it plays a key role in your ability to detect light. 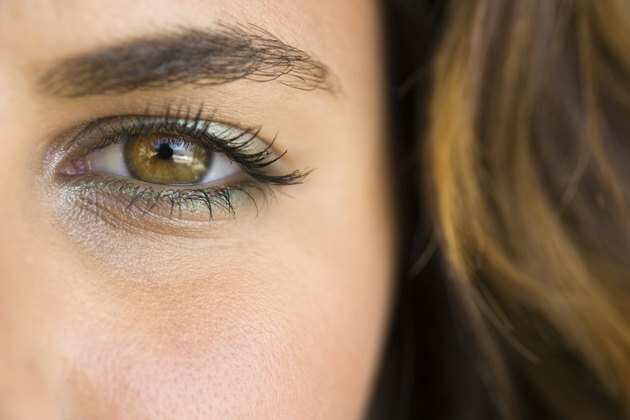 The juice also contains lutein and zeaxanthin, two nutrients that promote long-term eye health by filtering harmful light rays as they enter your eye, preventing those rays from reaching the sensitive tissues within your eyes. A quarter-cup portion of kale juice provides 7,033 international units of vitamin A, which is more than enough to fulfill your recommended daily intake. Each serving of kale juice also provides 5.8 milligrams of lutein and zeaxanthin, or just shy of half the daily intake suggested by the American Optometric Association. The vitamin A and vitamin K abundant in kale juice help support the function of your red blood cells. Vitamin A guides blood cell development, from immature blood stem cells in your bone marrow into mature and functional blood cells. 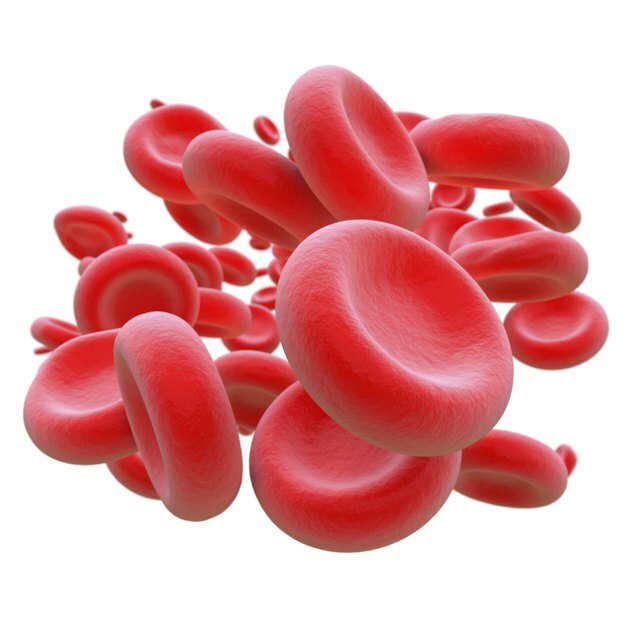 It boosts red blood cell production, which supports healthy oxygen circulation and also supports the development of white blood cells needed for a robust immune system. 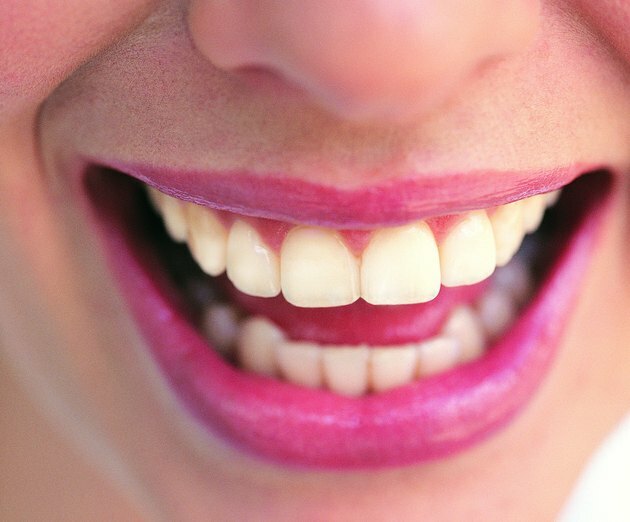 Vitamin K controls the function of platelets, helping to ensure that they can aggregate and form blood clots. 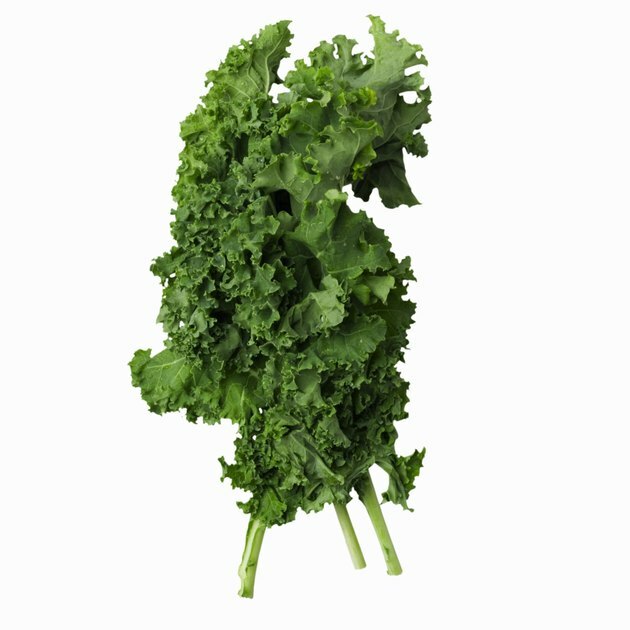 A serving of kale juice offers 496 micrograms of vitamin K -- several times your daily vitamin K intake requirement. 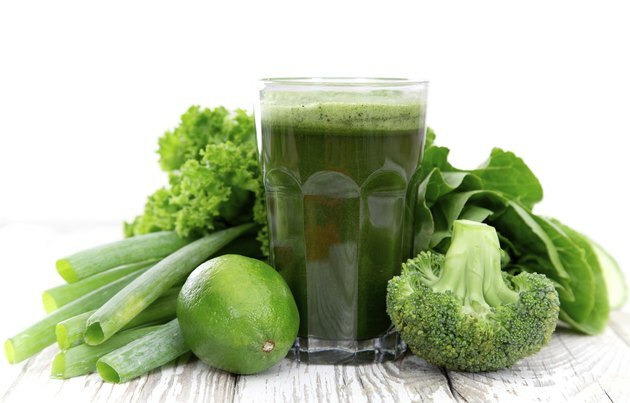 Because even a small serving size offers major health advantages, one of the major benefits of juicing kale is you can use the juice to easily sneak lots of nutritional value into other beverages and dishes. 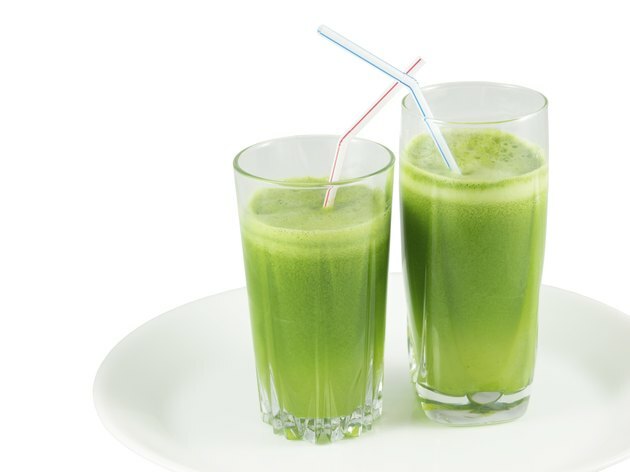 Kale juice tastes bitter on its own, so combine it with three-quarter cup of orange or pineapple juice for a delicious beverage with a superior vitamin and mineral content, compared with a cup of orange or pineapple juice alone. Blend a quarter cup of kale juice with frozen berries, Greek yogurt, ground flaxseed and nonfat milk for a healthful smoothie. Alternatively, add a serving of kale juice to soup to boost its nutrient content.